Rumors that a Formula 1 race will be held in New Jersey in 2013 were confirmed during a press conference held on Tuesday. The New Jersey event will be a street race. It will be held in Hudson County and bordered by the Hudson River. Its backdrop will be the Manhattan skyline, located across the river. The circuit is scheduled to include 19 turns and approximately 3.2 miles around. That appears to mean that the United States, without an F1 event since the series left Indianapolis in 2007, will have two races in 2013. It has been previously announced that an event will be held at a track being built near Austin, Texas. The New Jersey race is being scheduled for June. Organizers claim no public funds will be used in staging the New Jersey event. Officials would not elaborate on the sources of funding. On hand for the press conference were city, county and state officials. 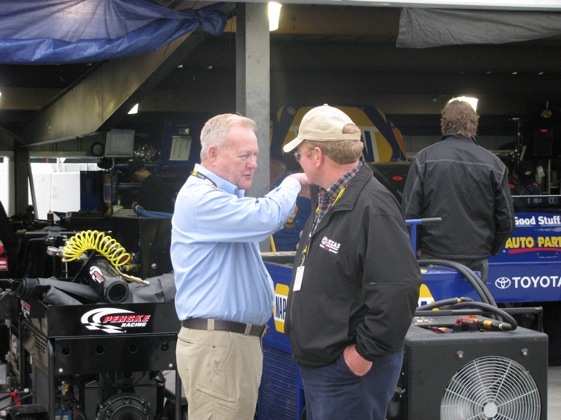 Helping promote the race is former Charlotte Motor Speedway president H.A. “Humpy” Wheeler. Promoter Leo Hindery Jr. said the deal with the Federation Internationale de l’Automobile is for “a decade”. Hindery said he expect 100,000 spectators and that the average price for a three-day pass will be $360.